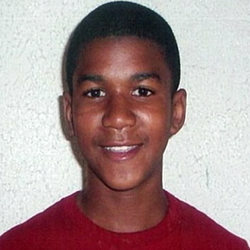 On the night of February 26, 2012, in Sanford, Florida, United States, George Zimmerman fatally shot Trayvon Martin, a 17-year-old African American high school student. Zimmerman, a 28-year-old mixed-race Hispanic man,[Note 1] was the neighborhood watch coordinator for the gated community where Martin was temporarily living and where the shooting took place. May 2017 Florida Memorial University announced Thursday that it will award a posthumous bachelor of science degree to Trayvon Martin at this year's commencement.